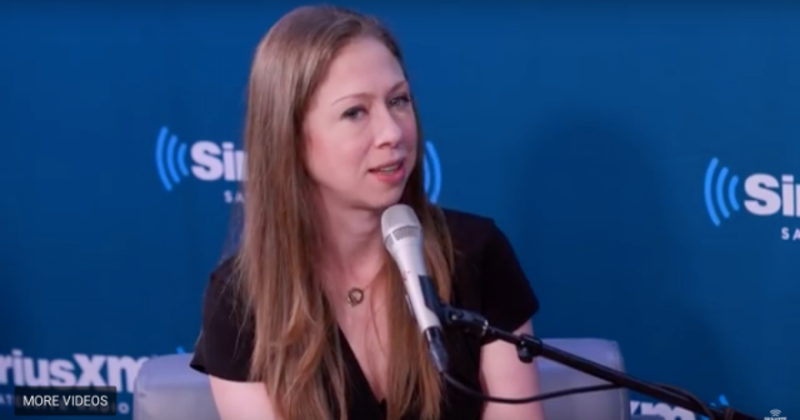 Former First Daughter Chelsea Clinton, who claims to be a “deeply religious” individual, recently gave an interview on SiriusXM where she stated that it would be completely “unchristian” to end abortion. Yes, that’s right, folks. The same God who handed down the commandment “You shall not murder” would, according to Clinton, is royally ticked off by any attempt to actually follow that commandment in a practical way by protecting innocent children from slaughter. This is why people think liberalism is a mental disorder. “How do you keep going in the hopes that your daughter doesn’t have to have this fight?” asked intersectional feminist and Signal Boost co-host Jess McIntosh, referencing the “fight” to keep abortion legal. “Every day I make the moral choice to be optimistic that my efforts and my energies, particularly when I’m fortunate enough to be in partnership with fellow travelers, hopefully will make a difference,” responded Chelsea. “And when I think about all of the statistics — that are painful — of what women are confronting today in our country, and what even more women confronted pre-Roe [v. Wade] and how many women died and how many more women were maimed because of unsafe abortion practices, we just can’t go back to that,” she continued. Co-host Zerlina Maxwell went on to say that “anti-choice folks are really some of the ugliest” trolls, attempting to paint up those who stand up for the rights of the unborn as being against choice. Correction, Ms. Maxwell. We’re all about free choice. However, we’re pretty dead set against murder, no pun intended. For the record, since abortion is murder, it’s actually very Christian to take a stand against this horrific evil, to stand outside abortion mills and protest. To offer help and hope to women considering this life destroying procedure. It’s what Jesus Christ commands us to do when He commands us not only not to murder, but to love our neighbor. If only the left truly understood this point. Democrats Slam Nikki Haley for $52K Curtains. There’s Just One Problem. Out of Touch? Check Out the Price Tag on the Outfit Ocasio-Cortez Wore for Photo Shoot With Construction Workers.